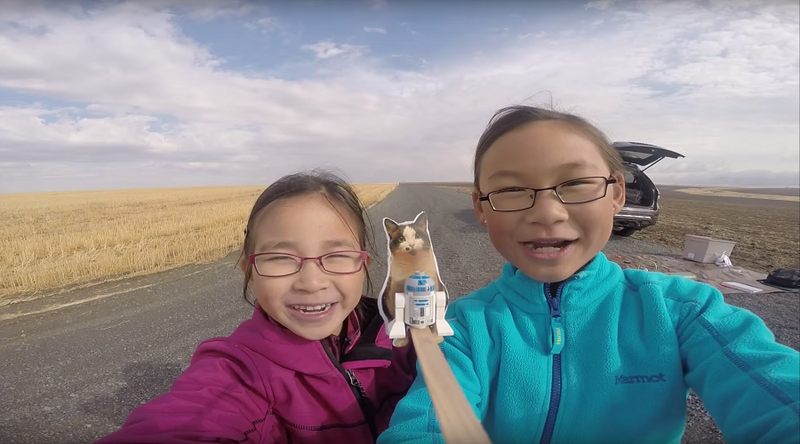 Little Washington-based scientists embarked on a project to send their R2D2 robot and a picture of their cat Loki 78,000 feet into the sky, using tools provided by a website that helps people achieve their dream of sending stuff into space. And it worked. Called ‘The Loki Lego Launcher’, the amazing feat of engineering saw Kimberley and Rebecca masterfully carry out their plan, involving simple appliances and an onboard computer. The result was a real space probe that traveled into the further reaches of the stratosphere, just above the Earth’s blue skyline, 30 miles (50km) above the planet’s surface. The budding rocket scientists bought several items, including a weather balloon, parachute and flight computer. The first version of the spacecraft didn’t go as planned, as it was too heavy. But after some careful redesigning, they came up with the idea to use one of the girls’ bent archery arrows, and – voila! Next came the flotation balls, which the young scientists attached to the bottom, just in case their spacecraft ended up over water. 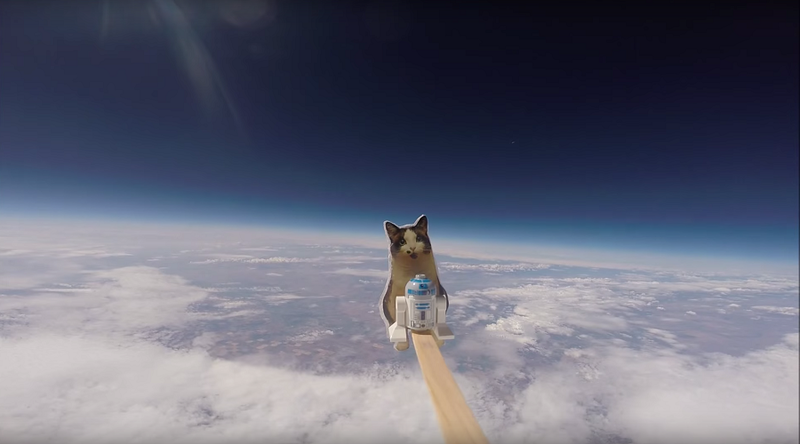 After some hiccups with the batteries, the cat photo and R2D2 were safely mounted on to the spacecraft, with a GoPro camera attached at the other end of the base, filming the incredible spectacle of the spacecraft’s journey into the sky. 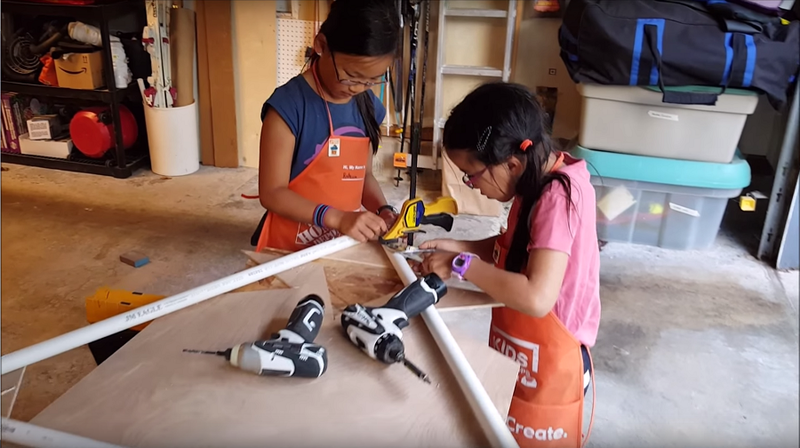 “We call it the Loki Lego Launcher, because Loki is our cat,” the girls explain, before going into all the science they picked up on the way, thanks to the onboard computer. 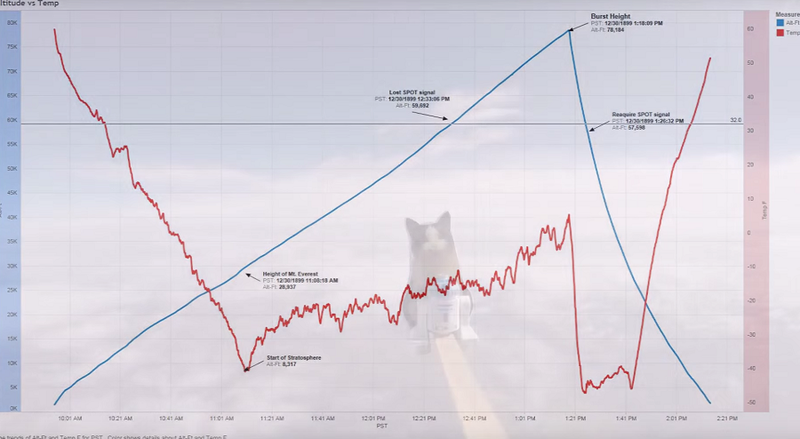 Just before the stratosphere, the temperature changes allowed the balloon to beat its average speed of 35kph to reach a whopping 110kph. Some 78,000 feet (23,774 meters) later, the girls had achieved their… er… lifelong dream of seeing “the blackness of space,” which is pretty admirable for people below the age of 10. “Thank goodness for GPS,” the girls proclaim excitedly as they rush to the crash site. The craft re-entered about 50 miles (80km) from the Washington launch site.